• We compared adolescents' compliance with medical regimens with that of younger children and identified characteristics of noncompliant adolescents. Compliance among 82 patients with juvenile rheumatoid arthritis (JRA) was monitored using serum salicylate levels. Fifty-five percent of adolescents and 55% of children were found to have good compliance. 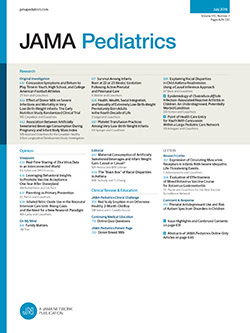 Among adolescent patients with JRA, however, the following factors were associated with salicylate therapy noncompliance: longer duration of disease (more than six years); earlier age at onset (under 9 years); later time of referral to a subspecialist; shorter duration of subspecialty clinic care; and fewer clinic visits. Knowledge of these variables will facilitate development of intervention strategies tailored to meet the age-specific needs of this population with chronic illness.